IPTV has exploded in recent years and if you’re thinking of cutting the cord or already have then you’ll know how important IPTV is. There are numerous providers of IPTV services across the world including everything from the legal to the somewhat questionable. What isn’t questionable though is that watching TV exclusively over the internet is becoming the norm. What was once considered a very experimental way to watch TV has now become extremely robust and reliable. 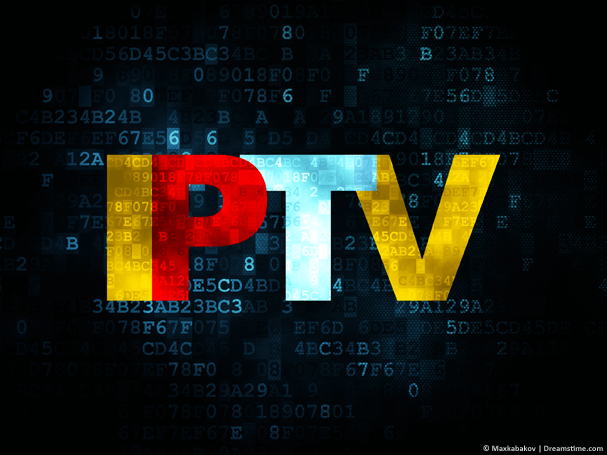 Using a VPN with IPTV can greatly improve your viewing experience. Not only can it give you better quality and more stable streams but a VPN can also unlock extra content from across the world. But which VPN should you choose for IPTV? That’s the million dollar question and one I’ve been putting to the test. Below I’ve rounded up five of the best VPN services for use with IPTV. How to choose a VPN for use with IPTV? Before you delve straight into researching and signing up for VPN services there are a couple of considerations you need to make. While many are general good practice when searching for a VPN for any purpose, these are some of the ones that are specific to IPTV streamers. Location of Servers: The location of a VPN providers servers is critical. You’ll need servers physically close, either in your country or a nearby country depending on your usage. With a good selection of nearby servers you’ll avoid buffering, pauses and other playback issues. Logging Policy: Just like what websites you visit should remain private so should what you stream on IPTV. Look for a provider that claims to store ‘no logs’ or better still one that has been proven not to log with a reported court case or audit. Speed: Speed is one of the most important areas to consider for IPTV. Slow speeds will lead to buffering and other stuttering playback issues. Ensure you use a VPN that is known to offer fast speeds. Guarantee: You’ve probably seen it multiple times. You sign up for a VPN, it works OK for a day or two and then the speeds deteriorate. Making sure you sign up for a VPN service that has at least a 30-day money back guarantee gives you loads of time to test the service to see it working with your favourite IPTV services. Now you know some of the more important features to be looking for when choosing a VPN for IPTV, let’s take a look at the five best services for the job. ExpressVPN has more server locations than most. In fact, at current count they cover over 94 countries across the world. This means they’re suitable for IPTV viewers no matter what country you’re in. It also allows you to access content from overseas which will increase your IPTV choice and catalogue. Coupled with loads of countries, the service is also registered off-shore in the British Virgin Islands. This means they can avoid some of the regulations that other VPN providers have to abide by. One of the most important is the fact they’re a no-log VPN provider and aren’t required to store any logs of what you’re watching. I really valued the initial 30-day money back guarantee on offer. It gives you a healthy time period to test the service and see how it performs with your IPTV service of choice. If it doesn’t live up to your expectations then simply get your money back. ExpressVPN has apps for the Amazon Fire TV Stick, Android and Apple iOS devices and regular computers and systems running Windows and Mac OS. They also have Linux software and dedicated router apps for certain router types. Come to mention it they’re actually our best VPN for the Amazon Fire TV Stick too! 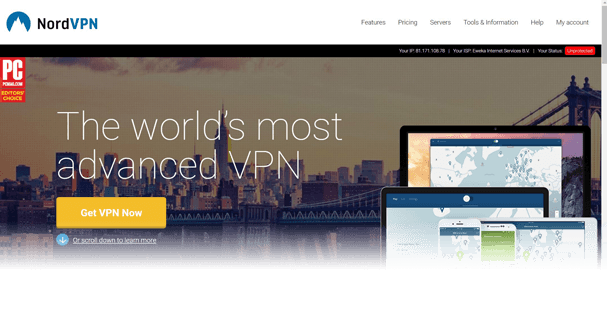 NordVPN stands out for their value added features. VPN services have almost turned into a blur these days with a handful of great providers, many average and some poor. What makes the service stand out is their extra features. Connection types such as ‘double hop’ allow you to push your connection through two locations which are usually two different countries. This allows you to stay extra secure when streaming IPTV services. They also have other ‘Speciality Server’ options including Dedicated IP servers and P2P specific servers. You may find either come in useful when using IPTV. The service has the security of a 30-day money back guarantee and you can use it on up to 6 devices at the same time. So you’re not simply limited to streaming IPTV with the service. Apps are available for the Amazon Fire TV Stick, Android, Apple iOS, Windows and Mac devices. CyberGhost VPN is the go to provider if you’re new to VPN services. If you want to stream your favourite IPTV services without caring about the ‘how’ and ‘why’ of a VPN then these are your guys. The apps point you in the correct direction on where to connect based on your usage. They have dedicated options ‘for streaming’ and ‘for torrenting’ amongst others. These will be most suitable for unblocking services on IPTV. Their powerful service isn’t just suitable for beginners though, users of all levels will find options to suit. The apps will even block sketchy adverts, malware and other nasties that could harm your device when streaming IPTV. What stands out most is the huge 45 money back guarantee which is longer than any other provider I’ve seen. You can also use the service on up to 7 devices at the same time although you will need to de-register some if you go over the limit. Apps are available for the Amazon Fire TV Stick, Windows and Mac computers plus Android and Apple iOS tablets and phones. IPVanish is the go to service if you want to use it for not only IPTV but a host of other purposes. In fact, they offer 10 concurrent connections which is the highest of any provider. You’ll be able to watch IPTV securely on all your devices, plus lock down the privacy of other family members all with the one account. The money back guarantee is rather short on the service at just 7-days but they do have a live help option so if you run into any issues you should, in theory, be able to get them resolved in real time. Speeds on the service are impressive and you’ll be able to stream in top quality without any buffering. They also have somewhere in the region of 60 countries with VPN servers which makes the service suitable for most users’ locations. Apps are available for most devices including the Amazon Fire TV Stick, Android and Apple iOS plus Windows and Mac OS systems. VPN.ac is the service if you’re looking for something a little bit different. They don’t have VPN servers in as many countries as others but they are dedicated to privacy and features that secure your connection more than most. If you want to keep your IPTV viewing habits private then their high-level encryption servers keep you protected. The service allows you to change the encryption options so if you’re interested in the technical side of things you can customise your connection more so than other providers. If you want to pay for the service securely then you’ll appreciate the cryptocurrency payment option that lets you pay for their VPN service with Bitcoin, Litecoin and many others. They do also accept regular payment methods such as Paypal and Credit cards too. There’s a 7-day money back guarantee and while it doesn’t match some of the other providers it should enable you to see the service in action long enough with your IPTV service to know if it’s suitable. Apps are available for the Amazon Fire TV Stick, Android and Apple iOS tablets and phones plus any systems running Windows or Mac OS. Which IPTV VPN is right for you? Choosing a VPN service for any purpose can be difficult but throw in the added considerations for IPTV use and it can be even more confusing. If you’re still struggling to choose from the five above I’ve listed some of the most common IPTV usage scenarios to help you pick one of the providers. If you want to protect the privacy of what you watch, choose ExpressVPN. They store no logs of your activity and they’re located ‘off-shore’ which means they don’t need to adhere to some of the regulations that other providers do. If you want the easiest to use service, select CyberGhost VPN. The service points you in the right direction for your needs. Their dedicated unblock streaming options make this service hassle free allowing you to enjoy more movies and TV shows. If you want apps for the most devices, opt for NordVPN. They’ve got a whole range of apps for most major devices. They’re also some of the easiest I’ve used so getting connected is quick and hassle-free. If you want to test without risk, get CyberGhost VPN. They’ve got a huge 45-day money back guarantee which is 15 days longer than even their nearest competitor. You’ll have plenty of time to see how they perform for IPTV usage without risking your money. If you want the overall best service, choose ExpressVPN. With apps for all devices, great speeds and a lengthy money back guarantee they’ve got plenty to offer. They’re my go-to provider for IPTV use. Using a VPN with IPTV services not only expands the selection of content you’ll get access to but it also allows you to protect the privacy of what you’re watching. With big brother monitoring much of what you do online, it’s essential to select a VPN that will keep your usage private. If you can’t decide on which VPN is best for you take a look at the section above where I’ve rounded up the most common usage scenarios for IPTV users. If you’re still undecided then sign up to my recommended VPN provider ExpressVPN which offers all of what you need as an IPTV user.